This Avocado Lavash Dish is very good looking and yummy. It contains a great combination of tomatoes, eggs, cheese and mayonnaise. It is a very good as a holiday dish and for any other types of celebrations. 1.) Wash and dry all vegetables well. 2.) Cut tomatoes, eggs and avocado into small cubes, Cut pepper into thick slices. 3.) Add all ingredients to a bowl and mix together well. Add salt and pepper. 4.) Using a spoon put scoops of the salad inside lavash. 5.) 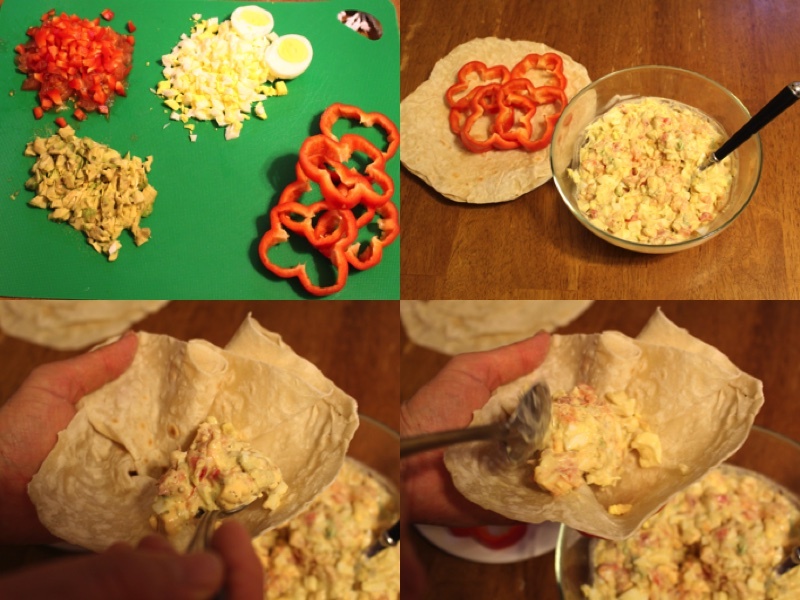 Place the pepper ring around the lavash wrap, even out the tops of the lavash with scissors. Now you’re ready to serve. Wash and dry all vegetables well. Cut tomatoes, eggs and avocado into small cubes, Cut pepper into thick slices. Add all ingredients to a bowl and mix together well. Add salt and pepper. 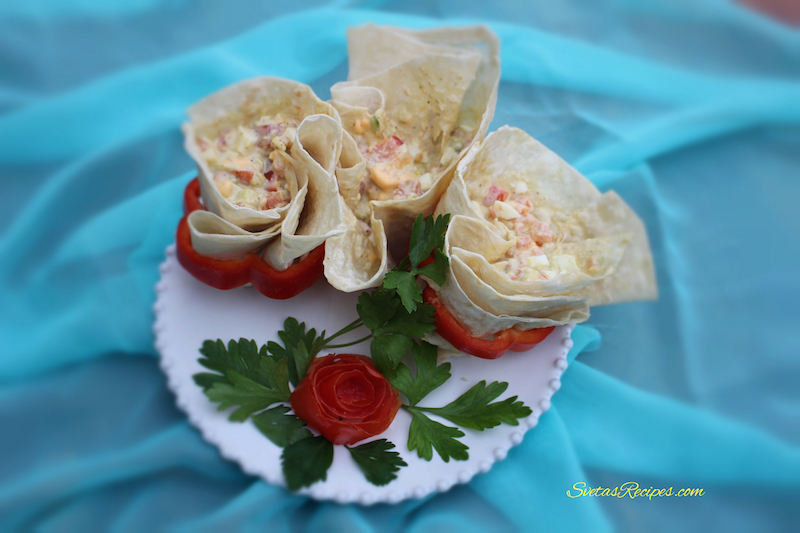 Using a spoon put scoops of the salad inside lavash. 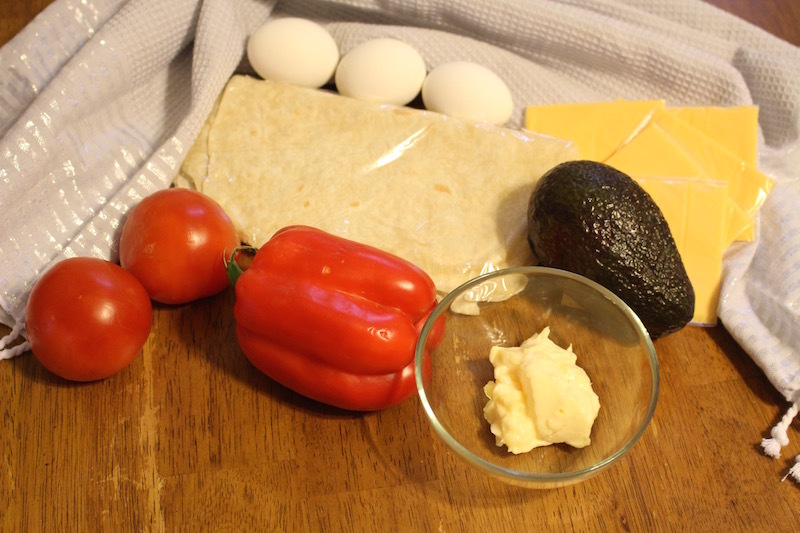 Place the pepper ring around the lavash wrap, even out the tops of the lavash with scissors. Now you're ready to serve.